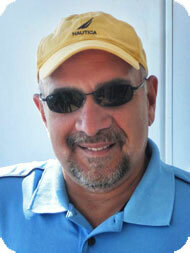 Yacht Broker Joe Marino : Atlantic Yacht & Ship, Inc.
Joe Marino is a Broker and Co-Owner of Atlantic Yacht and Ship. With over 35 years of experience in the yachting industry, Joe is an asset to the company with an extensive background and skill set. From coastal Vietnam to the Mediterranean, Asia, and Caribbean, Joe Marino’s career has been worldwide. With transatlantic and transpacific crossings, his experience at sea counts. A U.S. Navy Vietnam Veteran, Joe has virtually worked in all facets of the marine industry. Joe has a wide variety of experiences, including commercial vessels, charter yacht captain, and overseeing new construction in Australia, China, Holland, Italy, and Taiwan. Joe’s broad knowledge of vessels and ancillary systems gives him the technical background that is the foundation of his career and an upper hand to his competition. Specializing in European vessels, Joe has exceptional knowledge in foreign purchases and deliveries. Over the years, Joe has established repeat and referral business due to his superior customer service standards. Joe has sold yachts to clients from over 40 countries around the world. Joe specializes in large motor yachts and European manufacturers. As the senior partner of Atlantic Yacht & Ship, Joe continues to steer his clients in the right direction and firmly believes in building lifelong friendships along the way. Joe celebrates 35 years with the firm and continues to enjoy his passion for yachting and sharing his knowledge!